A little over a month ago Laura and Chris joined me for a self-rescue course and today they returned for some slab climbing instruction. We met at Whitehorse and cruised up to Lunch Ledge via the Quartz Pocket variation of Standard Route. With each pitch we focused on body position, technique, momentum, and our responsibilities at each belay to help keep the party moving. 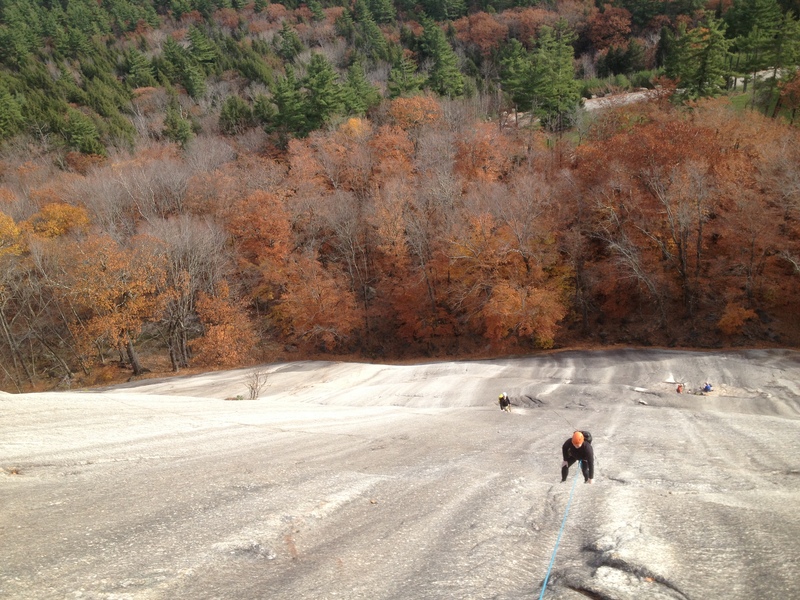 We reached Lunch Ledge in under 2 hours, and did 3 double rope rappels back to the ground. After a quick break we made our way over to Ethereal Buttress and climbed Beezebub corner, and excellent lesson in layback technique. 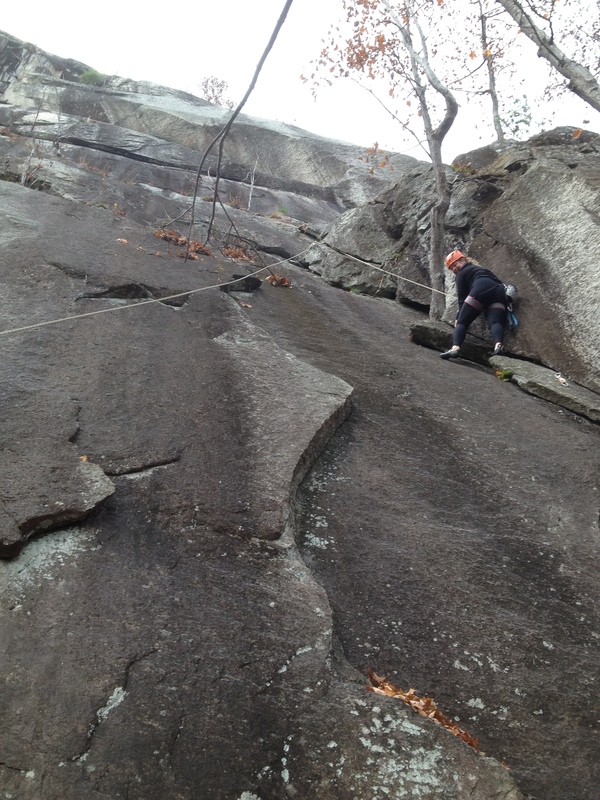 We then dropped a rope on “Seventh Seal”, an excellent slab climb disguised as a crack climb. 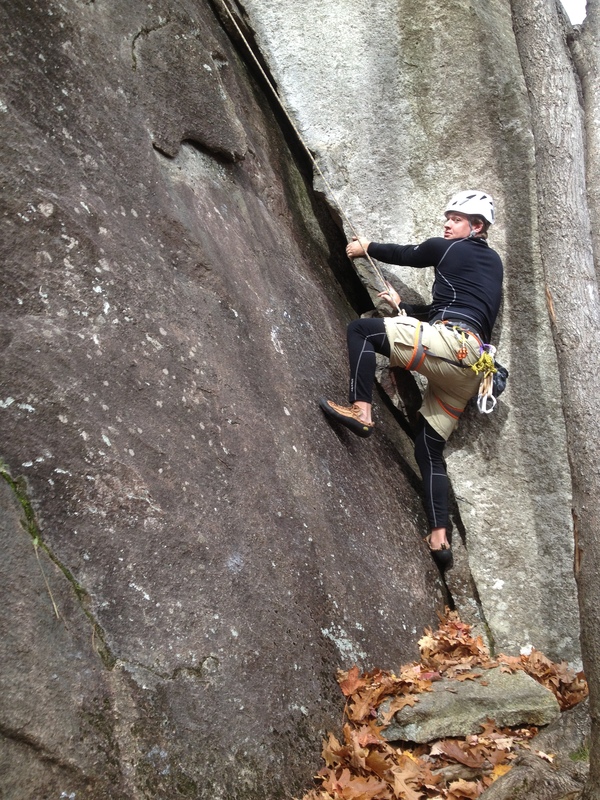 Chris was eager to have a go at the harder rated climb, and made smooth progress up to the thin crack. Here his perception of what constituted a decent foothold was challenged, but he preserved (after a couple hangs) and made it to the top. 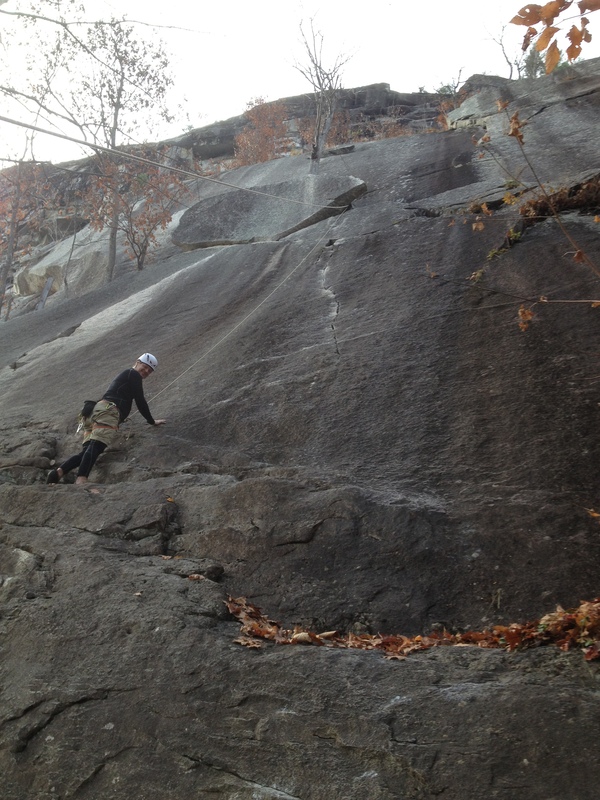 I have a feeling it won’t be the last time he climbs this route. Feeling like we had accomplished the goals we set out for we called it a day and coiled the ropes. Chris & Laura’s enthusiasm for their new hobby motivates me and reminds me of my early years in the climbing world… it’s an insanely fun sport and the first few seasons can be quite exhilarating, and dangerous, at the same time. While already lead climbing on their own Chris & Laura have recognized there’s a lot to learn to be a well rounded safe climber and I’m certain they are on the right path of self-study, practice, and occasional guided trips to reach what ever goals they might set for themselves. They definitely are eager students of the craft, and I look forward to our next adventure together! Had a great time with you guys too! Have you gotten to Pawtuckaway yet? 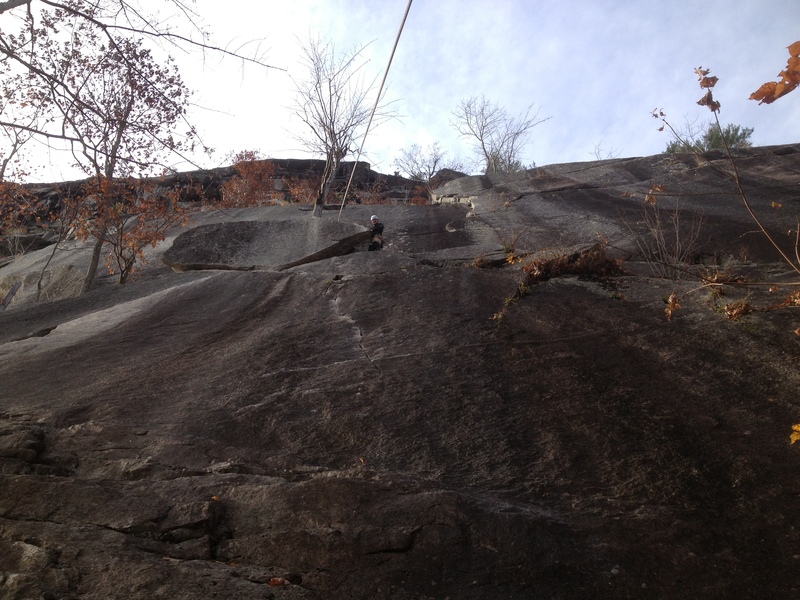 Also look up “The Chimney” at Square Ledge… I think Laura would love that climb.